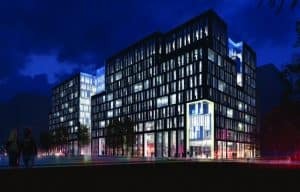 Over two decades the JRL Group has grown from a company specialising in sub and superstructure packages to a business that offers managed integrated construction solutions with an annual turnover in excess of over £280m. Founded by John Reddington in 1996, the JRL Group has built its success to date on building of relationships with clients, so to fully understand their needs through open and honest dialog. Our growth as a company has been built on trust and integrity along with a collaborative approach with our clients. The FORS accreditation enables us to demonstrate that we are a professional company that strives for best practice in safety, efficiency and environmental protection. We have reduced our accidents, parking fines and charges, whilst significantly improving safety and MPG in the last year. After becoming CLOCS Champions, it was a natural progression to join FORS and raise the standards. Maintaining our FORS GOLD standard is helping us to promote FORS and its benefits. It assists us in maintaining and continually improving our road safety, compliance and environmental impact since we passed our initial Bronze audit first time. This year we have updated our Driver’s walk round check sheet, and added a driver’s declaration referring to fitness and lawfulness to drive, and not driving under the influence of alcohol and/or drugs. We have dedicated a section to the FORS safety equipment to ensure our fleet is fully compliant at all times. We have also increased the number of E-Learning modules for the driver’s and transport staff to complete, as these modules provide the perfect tools to keep everybody up to date. Since last year, we have increased the number of our FORS practitioners within the group from 1 to 4. ‘Since early 2018 we have purchased 18 new Euro 6 HGV vehicles to replace the older models. We have already placed an order for an additional 11 new Euro 6 vehicles for delivery in April 2019. This will make our fleet 100% Euro 6 compliant.’ – Noemi Vachtler Group Compliance Manager and our elected FORS Fuel Emissions Champion and Road Risk Manager. FORS Gold accreditation demonstrates to all our clients and competitors that we take compliance, safety and emission awareness very seriously. Our FORS Gold accreditation continues to add value to our company, and it ensures that we maintain the high standard that is required in the construction industry. Our overall risk, accidents, parking fines, charges have been reduced considerably, compared to our baseline year. From 1st September 2017 to 31st August 2018 we have reduced the number of parking fines and charges from one penalty charge notice per 44,080 km’s travelled to 68,088 km’s, achieving a 54% improvement. We have also reduced the number of accidents from one accident for every 98,447 km’s travelled in our baseline year, to 131,031 km’s achieving a 33% improvement. We have increased our MPG across the whole fleet by an average of 2.28%. In our baseline year we achieved an average of 8.77 MPG, where in the past 12 months we have increased it to an average of 8.97 MPG. We ensure that all of our drivers complete a comprehensive Medical Declaration on a yearly basis, even though the FORS Standard only requires this to be done every 5 years. Our Company Policy states that all drivers must notify any changes to their medical condition to the company as soon as possible, and if they have started taking any medication prescribed by their GP or any other over the counter drugs. The company will then investigate and check the medical condition and medication against the government list of medical conditions that could affect their driving. This is to determine, if a driver is still safe to drive a company vehicle. In some cases the company would request a letter from the driver’s doctor to confirm his fitness for driving. Alternatively, the driver will be referred to Occupational Health for further investigation and examination. The driver will not be able to commence driving duties until he receives the all clear. We have recently adopted a recruitment policy to encourage young drivers to pursue a career as a HGV driver and to choose the Transport Industry as their career path. We have 4 Operator Centres where the vehicles are kept. They are all situated in industrial estates. We don’t carry out any vehicle maintenance at any of our depots, as all vehicle servicing and maintenance is done by reputable main dealers at their premises. All our vehicles are fitted with white noise reversing alarms. Due to the distances our vehicles travel and the weights/type of products they carry, we haven’t found any suitable alternative vehicle. Most of our vehicles have Euro 6 engines, and use Adblue to help in reducing our carbon footprint and improve our MPG. 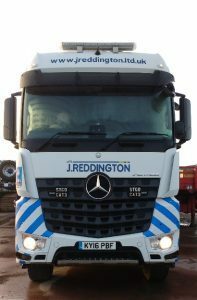 We do everything possible to reduce our carbon footprint through better planning, promoting our anti- idling policy, and replacing our older vehicles with newer Euro 6 models. It’s a huge advantage for the group to be FORS GOLD accredited as the scheme is highly recognised as the leading standard in the construction industry. The industry is changing, and in the last couple of years more and more contracts are demanding FORS Silver as mandatory, instead of FORS Bronze. Many mandatory Silver projects reduce the requirements of day to day paperwork for FORS GOLD holders, as well as offering preferential delivery slots and speedier process on sites. Retaining our FORS Gold Accreditation is important to the company and shows our committed dedication to improving road safety, the safety of all vulnerable road users whilst reducing our carbon footprint. Our aim is to continue and improve our partnership with FORS to evolve best practice and to maintain and improve our already high standards.